Morning departure from Nairobi for Tanzania, crossing the border at Namanga and arriving in Arusha in time for lunch. Continue to the Ngorongoro Crater arriving at the wildlife lodge, built on the crater rim. 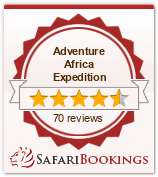 Dinner and overnight at Ngorongoro Wildlife Lodge. Breakfast and drive into the crater floor for a full day in search of the black-manned lion, elephant, buffalo, rhino and explore the crater for other game that exist in great concentration. Enjoy a picnic lunch in the the crater before returning to the lodge. 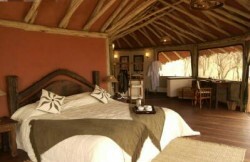 Dinner and overnight at Ngorongoro Wildlife Lodge. Breakfast at Ngorongoro and depart for Lake Manyara Hotel, overlooking the Rift Valley and the Lake Lunch at the hotel and afternoon game drive in the park around the lake where a great variety of game and bird life, including the famous tree-climbing lions are to be found. After breakfast, proceed to Arusha for lunch and drive on to Namanga border where our Kenyan guide will meet you and proceed to Amboseli National Park. A brief game drive on the way to the lodge. Dinner and overnight at a Safari Lodge. A dawn game drive in the park, returning to the lodge for breakfast. Rest of the morning at leisure. Lunch and another game viewing beneath the snow capped peak of Mount Kilimanjaro. Dinner and overnight at a Safari Lodge. Breakfast and depart for Nairobi, arriving around noon. Afternoon at leisure. Breakfast at the Hilltop and drive north to Nyeri for lunch at the Outspan Hotel. Special transport takes you to world famous Treetops, on the slopes of the Arberdare Mountains, arriving in time for tea. All night game watching from the comfort of your lodge, where animals visit the water hole and salt lick. Dinner and overnight at Treetops. An early morning drive, returning to the lodge for breakfast. rest of the moringat leisure, lunch at the lodge and a late afternoon game drive looking for the somali Ostrich, Oryx and Crocodile. Dinner and overnight at Samburu Lodge. Early breakfast and drive via Thompson's falls, into the Great Rift Valley, to Lake Nakuru National park. A visit to Lake Naivasha followed by a late lunch at Lodge. Continue to Lake Naivasha in the late afternoon. dinner and overnight at a Lodge. Drive along the valley, past mount Longonot to Masai Mara Game Reserve. Lunch at the Lodge and a late afternoon game viewing drive in the reserve that adjoins the Serengeti Park in Tanzania. Dinner and overnight at Keekorok Lodge.